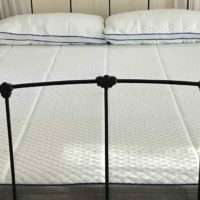 Pacific Mattress Review | Sleep Better with their Pacific Float Foam Technology. 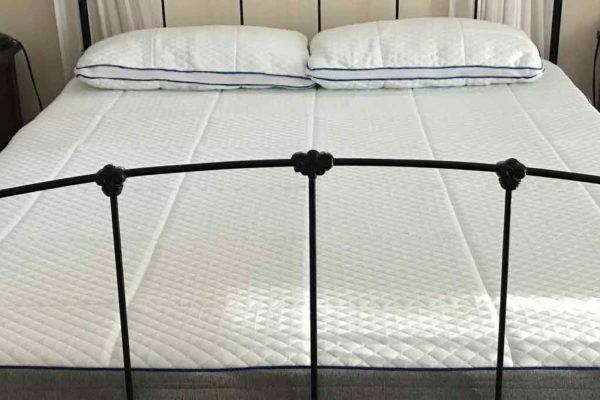 Pacific Mattress Co. has created two different mattress firmness levels. The medium soft and medium firm mattresses cover the broad range of sleepers. 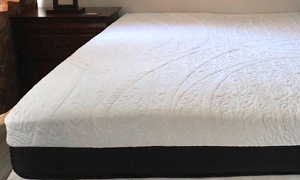 Read our Pacific Mattress Review and learn which level of firmness is right for you. The Soft gets a 4 out of 10 in our firmness rating while the firm gets a 6 out of 10. (10 being the firmest) This all foam mattress uses a combination of latex and foam cores. The foam density and layers work together to provide the soft or firmer sleep. The response of the bed is dependant on which version you choose. The Pacific Co. mattresses use a Pacific Float foam with high responsiveness. Customers can press their hand into the bed and see how quickly it responds. The material means customers won’t feel like they are sinking into quicksand. Latex keeps the sleeper cool. The firmer Pacific Mattress will give the sleeper a cooler night. Latex is much cooler than foam mattresses, mainly because of the firmness. Soft foam beds tend to surround the sleeper and hold the heat closer to their body. There was a small amount of initial smell with the bed, but not much. The Pacific Mattress Co beds do have a small amount of smell when first opened. We only worry when the smell stays around for a long time. The smell with these beds seems to leave quickly according to everything we have seen. It is also important to note that the materials are CertiPUR-US and 100 certified. These beds have no harmful compounds and a very low VOC (Volatile Organic Compounds). We would prefer 0 VOC’s, but very low is great. 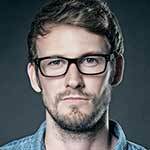 A new company that is relatively untested. The Float Foam technology offers a softer memory foam style top, while still having a surprisingly good response rate. The Pacific Mattress Co beds go for $899 for a queen. Sleepers who want a full foam bed that still has good support. The reviews are in, and people love their sleep on the Pacific Co beds. The inner support core works well with the Float Foam responsive foam on top. We are working to get our readers some Pacific Mattress coupon codes. For now, readers can use our discount to get free shipping on their Pacific Mattress purchase. Keep checking back as we will post any new Pacific Mattress discounts here. Let’s take a look at the breakdown of the Pacific Mattress Co. beds. A Nicely designed pattern that uses a CoolBrezzz technology. We don’t know about this technology, but Pacific Mattress Co says it wicks heat away from the sleeper. Float Foam technology that provides a softer, more responsive sleep that traditional memory foam. The Support cores provide a firm foundation and support. These layers are what give sleepers the durable back support during the night. 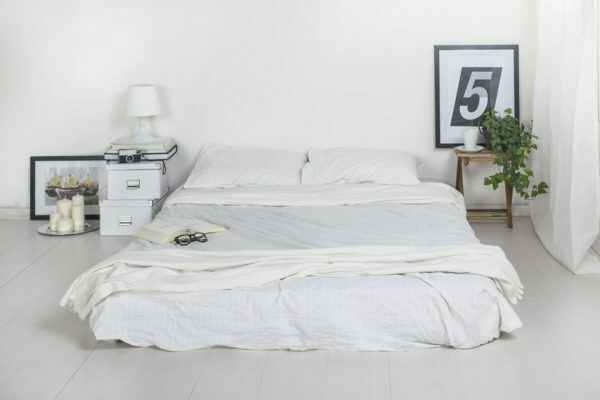 The Pacific Mattress Co. beds are about average for the industry. Customers will pay $899 for a queen bed, for either level of firmness. 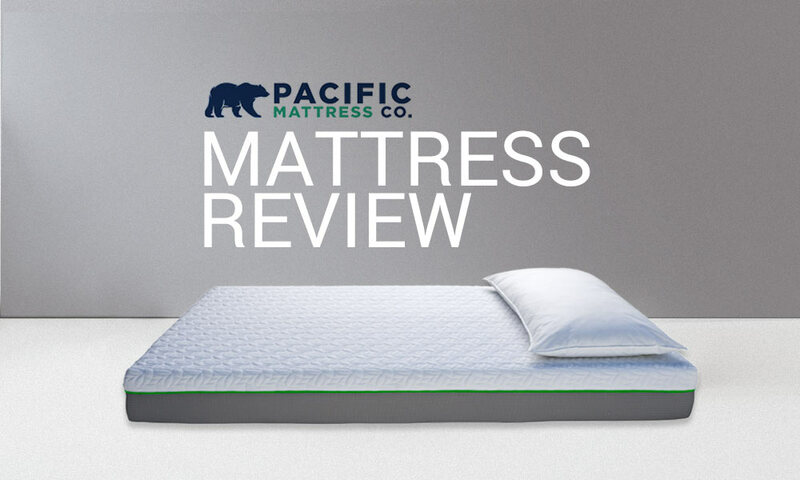 Let us know what you think about the cost in our Pacific Mattress review comments section. Shipping in 1-5 business days. Pacific Mattress has released a medium firm and medium soft bed for all sleepers. They promote their Float Foam technology which gives the feel of memory foam, but the responsiveness of latex. Our research found that the Pacific beds are very comfortable, but not quite as responsive as we would find in latex or spring mattress. Customers will get a soft, comfortable bed for a good price with the Pacific Mattress Co.